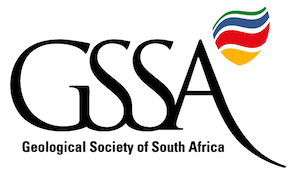 A Geoheritage Field Trip to the Makhonjwa/Barberton Mountains to mark the 50th Anniversary of the discovery and first account of komatiite, a major new rock type in the Komati River valley, is being organised between 8-12 August 2019. Because of its unparalleled geological exposure and state of preservation, parts of the Barberton region have recently been proclaimed as a UNESCO World Heritage Site. The classic komatiite outcrops, with beautifully preserved pillow structures, spinifex textures and other diagnostic features of this unique rock which formed the earth’s earliest oceanic crust, will be examined. Evidence for primitive, unicellular life forms dating back more than 3.5 billion years found in sediments interlayered with komatiite lavas, will be examined. Evidence of early sedimentary processes at sites along the recently established Makhonjwa trail together with spectacular vistas along the trail, will be viewed. Granitic rocks have intruded the volcanics of the greenstone belt, providing fundamental insights into the way in which the early continents formed. A variety of classic granite sites will be visited to demonstrate the progressive construction of ancient continental nuclei that formed the basis for all subsequent crust formation. Many of the important mineral deposits of the Barberton / Makhonjwa Mountain Land are related to, or are closely associated with komatiites. The association of gold mineralization with komatiite will be examined in the Sheba mine area, at the Tiger Trap mine and in the Steynsdorp goldfield. Asbestos and magnesite deposits associated with differentiated intrusive ultramafic bodies of komatiite composition will also be visited at a number of localities. Visits to several archaeological and historical sites will be included in the trip. Full details to follow shortly. Contact egoli@gssa.org.za for enquiries.